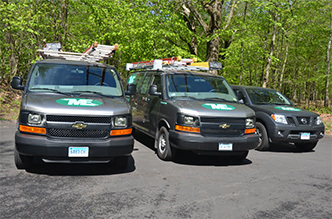 Mazzucco Electric is a Connecticut Electrical Contractor serving Fairfield County area and specializing in residential electrical services. We employ safe and cost-saving electrical strategies. Our specialties range from Electrical Repairs, Surge Protection, Security Lighting, Electrical Renovations, Panel Upgrades, to Lighting Retrofits and Fans Installation. 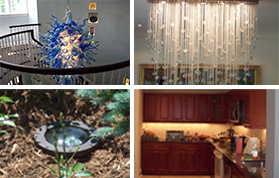 Our audio/video and tv installation services can handle a variety of requirements for bigger or smaller projects. Some surges come from within your own home, such as turning on a dryer or sending a document to your printer. Other surges come from outside your home, as in electric utility switching, downed power poles, cut power lines, and lightning strikes. Surge can even enter through cable televisions and telephone wiring. Rebuilding or repairing your circuit breakers can prevent uncalled for downtime and in many cases is more cost-effective than replacing your existing equipment. Our know-how ensures that we can perform top quality repairs, modifications, rebuilding and maintenance on most circuit breakers and larger frame molded case breakers of all brands and vintages.